Ron has more than 25 years of experience delivering audit and accounting services to real estate companies located primarily in the New York metropolitan area. His expertise includes commercial, retail, condo, multi-family and affordable housing development and compliance, and advising on financial issues for real estate firms. Among his specialties are attestation engagements, compliance, due diligence, and cost certifications for residential real estate entities. He is often invited to speak on multi-family and residential real estate topics nationwide and is quoted in industry publications. 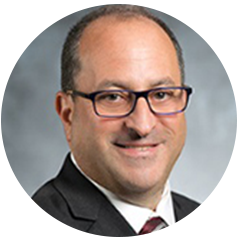 Prior to joining Mazars USA, Ron was a Senior Manager at Rubin & Katz, which merged with Mazars USA in 2004. He began his career at HJ Behrman LLP. Ron graduated from Queens College of the City University of New York with a Bachelor of Science in Accounting.